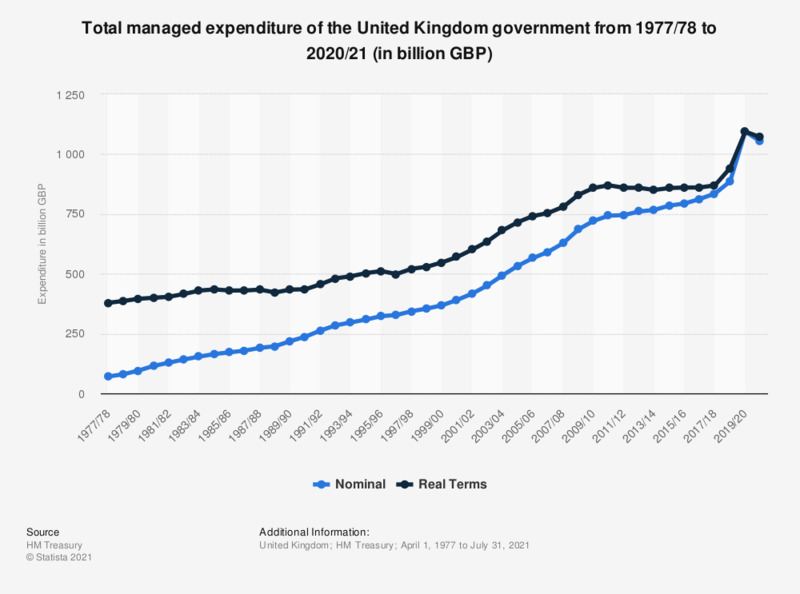 This statistic shows total public sector current expenditure in the United Kingdom (UK) from 2000/2001 to 2017/2018. The figures displayed are in real terms and therefore allow for an accurate comparison over time. Expenditure peaked in 2010/2011 at 712.5 billion British pounds. * Figures are calculated in real terms by adjusting the nominal figures to 2017/2018 price levels using GDP deflators from the Office for National Statistics (released June 29, 2018).